It’s 545am. Time to get up! As you all most likely know by now I work the morning shift at a hotel in SoHo. It’s not the most glamorous job in the world but it does have its perks. One obviously being the weekly paycheck. Kidding! But it is amazing to get paid for something I love to do! When I get to the front desk at seven in the morning it’s hard for me to get right into work mode seeing as it’s so early and I’ve only been up for about an hour. I need to be ON right away because if I’m not a chipper version of myself the guest may notice and that may be the determining factor on whether they return to the hotel or not. No pressure right? So I need a good pick-me-up in the morning to stay alert and awake throughout the day. 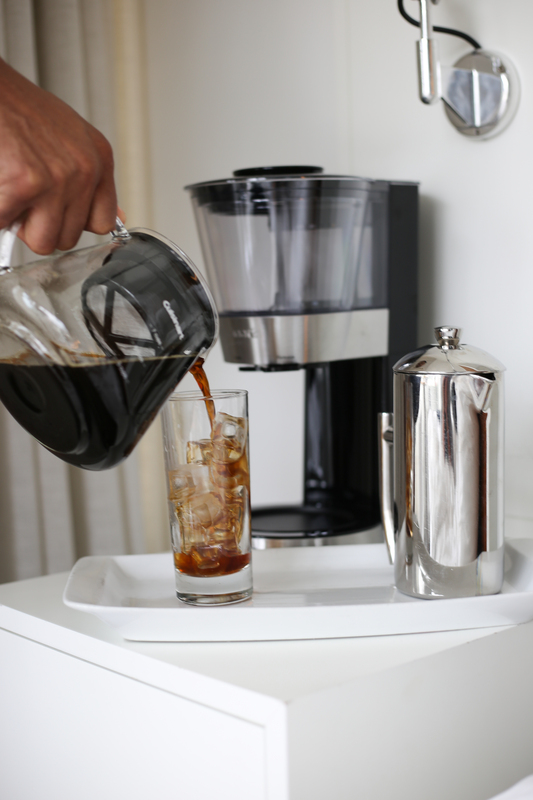 I have found just what I needed in the Automatic Cold Brew Coffeemaker from Cuisinart. 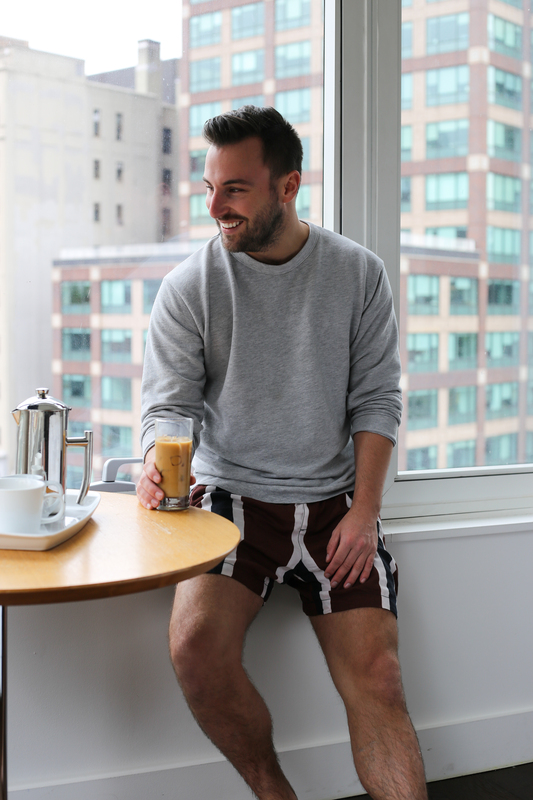 I’ve always loved the smell of coffee but was never one to pick a hot beverage over a cold one (besides hot chocolate). 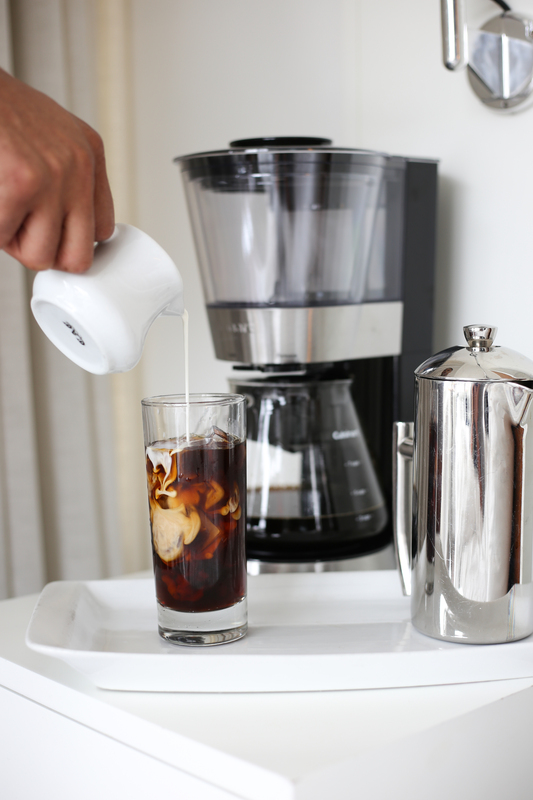 The cold brew is extremely easy to use and really does taste better if you do it yourself 🙂 It takes not even 25 minutes and the 7-cup glass carafe can be refrigerated for up to two weeks! 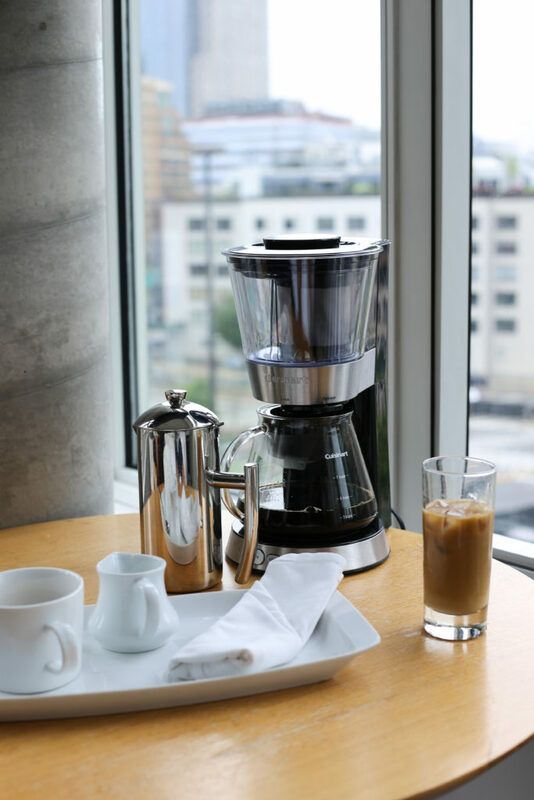 It’s actually the fastest cold brew machine on the market today. The taste is smoother and sweeter due to the coffee circulating through water. Drinking the cold brew in the morning before work makes me more alert and attentive to the needs of others. I world be a cranky man without this little extra boost of energy!